Rift Valley Academy (RVA) beat hosts St. Mary’s 29-10 on Saturday 27 May to be crowned the 2017 Blackrock champions. Beaten to the Cup last year, after going down 3-0 to Lenana School in sudden death, the Kijabe lads were not to be denied this time round after outscoring the Saints five tries to one. 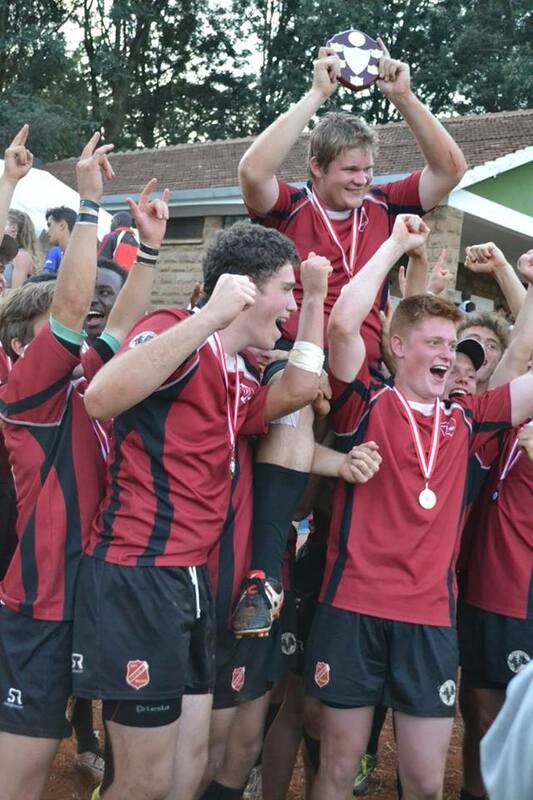 For a place in the final, RVA stopped Strathmore as St. Mary’s beat Kiambu High in the semis. RVA came through the tournament unbeaten as they made it three in three at the group stage after posting a 21-7 win over Githiga High, 21-8 win over Kiambu High and 14-0 win over Strathmore II. Saints topped pool B with three straight wins; 7-0 over Strathmore, 14-0 over Jamhuri High and 21-0 over RVA II. Lenana School and Nairobi School, two of the biggest names that have spiced up the tournament in recent years, did not turn up for this year’s edition as they were committed, as well as other regular participants, to Nairobi County games. Others in the competition included Moi Forces Academy (MFA), Dagoretti High, Upper Hill School, Aquinas, Mvuti and Kikuyu High who took part in the Bowl competition.